What’s the best way to train a stray dog that’s really shy and overprotective? There are methods to help feral, abused, and neglected canines overcome their fears and anxiety. But we have to remember, dogs that have been abandoned are most likely going to suffer from a fear of humans. Whether they were abused at the whim of cruel people or shunned and ran off by uncaring individuals, this once loving animal will have been conditioned to fear and mistrust the very hands that are reaching out in kindness. In this post, we will cover strategic tips in training a stray dog to become the loving and loyal pet he was meant to be. Tip # 1 – People are GOOD, Food is GREAT! The canine species has been conditioned over thousands of years to be our loyal companions; however, when these humans turn into a source of hurt and misery, even the most dedicated dog has to resort back to self-preservation. When dealing with a fearful stray, you have to “reprogram” his brain into thinking “people are good.” The most effective way to offer friendship is through food. Bring your stray food at the same time each day – dogs are creatures of habit so creating this food schedule will help him regain his trust. Don’t forget to offer a bowl of water, as well. Is he eating in your presence? Then offer him tasty tidbits through hand-feeding. Both of these methods may take several days (or even weeks or months), so patience is vital. Try these homemade tasty training treats to entice a stray! Once you have established a “foody friendship” with your stray, you will want to get him off the streets. A traditional leash/collar combo is most likely not going to work, so animal rescue experts suggest using the slip-knot leash; a sturdy rope fashioned with a large loop and slip knot to tighten once engaged. Rub juicy (highly scented) treats along the leash to create a familiar and enticing scent. Make the biggest diameter loop you can for the head opening. If food isn’t working, you can try gently petting the dog with the leash in hand. Gradually, and subtly slip it on. Tighten the loop to fit snugly around the dog’s neck. Before you pick him up, you may also have to muzzle him for your safety. To fashion a makeshift muzzle, you can use a leash – simply loop the leash around the dog’s muzzle, then bring it to the back of the head. Secure in place with a knot. Watch this YouTube Video for a demonstration. Dogs that have never been exposed to indoor living may have a difficult time adjusting to the confines of a home. For this reason, you will want to house your dog in a safe place. Laundry rooms, basements or a spare bedroom can all serve as a temporary home for your stray. Be sure there are no objects that could hurt or endanger your stray’s well-being. The room should also be quiet and free from excessive traffic. If the stray is extremely skittish, you may consider using a heated garage as a temporary haven. Make your stray’s area as comfortable as possible by giving your rescue, a bed, toys, food and water. Let him become accustomed to his new surroundings by giving him plenty of space and the time he needs to adjust. Once you can safely handle your stray, a visit to the vet is a must-do. He or she will assess your dog’s overall health and can administer any vaccinations, deworming medications or general therapy that may be needed. If you have other pets in your home, do not let them meet the stray until you’ve done this step. Keep in mind that even if your new rescue seems miraculously healthy, he could be carrying vectors that could harm your other dogs. Check out the Top 5 Most Dangerous Pet Parasites for more information. Don’t make any sudden movements. Always approach the canine by walking on a curve rather than in a straight line. Turn sideways and bend down. Don’t tower over the dog. Pet the stray on the side of his body and head. Don’t reach over the dog to pet him on the top of his head or back. Saving a feral or stray dog is a noble action but know that this process can be a lengthy one. Have patience and stick to the journey once you have started. 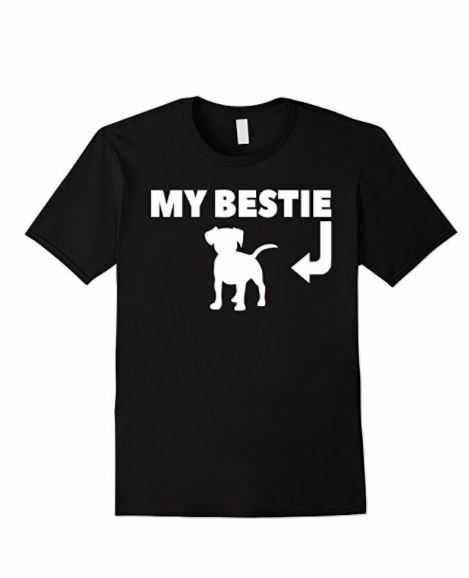 Use food and friendship to help ease the dog back to understanding not all humans are cruel. Once your stray is in your home, give him a safe space filled with dog-friendly items and a visit to the vet to help heal any physical ailments and for a general check-up. If you have located a stray and don’t feel you are the right person to rescue it, call in the professionals; no animal should have to live on the streets. 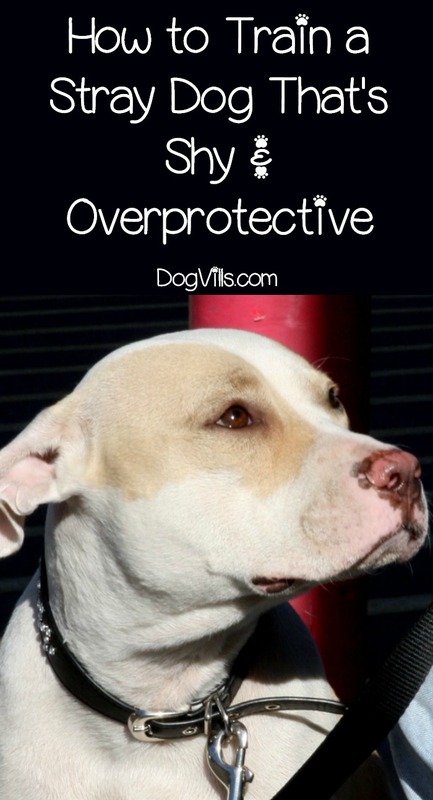 Do you have any other tips on how to train a stray dog that’s shy & overprotective? Share below!